One of the things that is so amazing about our Keto Community is the awesome Keto Products that now exist to help you transition to and maintain a Ketogenic Lifestyle. Yes, Switching to Keto has its challenges, but I’ve found that investing in some Keto Supplements can really help. That’s why I’ve decided to share 4 Perfect Keto Products that are worth your while! Learn how to incorporate these 4 Perfect Keto Products into your everyday routine. Do you need a Ketone Base? What's the difference between MCT Oil and MCT Powder? Why and When should you take electrolytes? And what in the world are Nootropics? Hopefully by now, you’ve experienced the joy that is Fatty Coffee. If you haven’t read all about it on this recipe blog. MCT Oil in my coffee with some butter keeps me fueled well into the afternoon. It is an essential part of my Ketogenic Life. Perfect Keto has Pure C8 MCT Oil. It is the highest quality MCT made from C8s. This is the type of MCT that won’t upset your gut. Perfect Keto takes this amazing MCT Oil and turns it into a powder so that it is easier to incorporate into Shakes, and Baked Goods. They even make single packets so that you can carry MCT on the go. My favorite part of Perfect Keto MCT Oil Powder is that it comes in 4 different flavors: Matcha, Salted Caramel, Vanilla, and Chocolate. Getting your Macros calculated is the first thing to do when switching to Keto. After that the goal is to use these calculations to get your body into Ketosis- the state in which your body burns Ketones for Fuel. Exogenous Ketones are a great way to help your body transition. Now that I am in Ketosis, I use Perfect Keto’s Ketone Base when I I’m feeling a little sluggish or need a little energy boost before or after a work out. It’s great to add to your coffee in the morning to set yourself up for a “good Macros” day! It can also help get you back into Ketosis after a higher carb meal than you were anticipating. Perfect Keto has created a multivitamin for your brain. It’s called Nootropics and it is awesome!! This Chocolate Flavored supplement contains few select herbs, amino acids, and lipids that support mental alertness, clarity and concentration so you can operate at full capacity. It also contains Exogenous Ketones, MCT Oil Powder and Collagen for Soft Tissue Support. Perfect Keto Nootropics keeps my brain engaged and clear for the entire day! By now I am pretty much a broken record about Electrolytes! Avoid the dreaded “Keto Flu” by upping your Electrolytes. The process of transitioning to Keto flushes out a lot of your electrolytes making you feel horrible. Grab a smart water, increase your Himalayan Pink salt intake, and if all else fails, try an Electrolyte Supplement. This one from Perfect Keto is my favorite. The folks at Perfect Keto have extended the Keto In the City community an amazing 20% discount when you use the code KETOINTHECITY at checkout! SO Stock up Now!!! Get MCT any way you want with Perfect Keto! Perfect Keto has an amazing variety of Keto Products. From Protein to Blood Sugar Support to Nut Butter, Perfect Keto seems to have a product for whatever I need. But the Perfect Keto product I use the most is their MCT. For all of the traditionalists out there, Perfect Keto makes one of the highest quality MCT Oil on the market. This 100% pure MCT is made from C8 MCTs. C8 MCTs convert fastest to ketones giving you that brain boost! Add it to your coffee, and smoothies for great results. It's Perfect Keto's MCT Oil Powder is what really sets them apart from other companies who sell MCT. MCT Oil Powder is that same high quality MCT Oil made into a powder. The powder allows you to use it in many different ways. It also allows Perfect Keto to make several different flavors. MCT Oil Powder comes in many different flavors including: unflavored, Chocolate, Vanilla, Salted Caramel, and Matcha. I love adding the Salted Caramel flavor to my coffee for a warm keto treat that also gives me amazing energy to start my day. Recently Perfect Keto did us all a huge favor and started making MCT Oil Powder Single Packets. These handy little guys travel everywhere with me. I keep some in my purse, car, and desk, and I am never without them on long weekends out of town. Don't worry about your preportioned MCT Powder Spilling in your bag or how you are going to pack the whole tub of MCT in your suitcase. Grab some of these handy Single Packets. 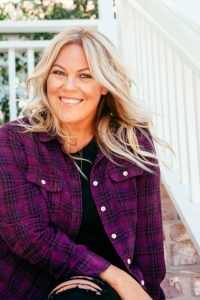 Because You are Awesome and the folks at Perfect Keto are Awesome, I get to extend 20% off to everyone who uses the promo code KETOINTHECITY at check out! So grab every variety of MCT Oil and never be without it again! Do you love to have a Smoothie for lunch at your desk but hate making a mess portioning out your collagen? Do you sometimes have to rush out the door without adding Perfect Keto Base to your coffee? Are you traveling this summer and don't want to pack a whole sized bottle of your favorite Perfect Keto Products? Perfect Keto now has you covered with single servings of your favorite Ketone Bases, MCT Oil Powders and Collagens! They are the same great products now ready to go with you anywhere. Perfect Keto Single Packets come in extremely handy while traveling. They are great to throw in your suitcase or purse. They won't take up much room or spill. I often keep Perfect Keto products in my office just in case I need a mid afternoon lift. Now I don't have to worry about remembering to restock from home. I can just keep some single packets in my desk. Perfect Keto Single Packets are available for three of Perfect Keto's most popular products: Ketone Base, MCT Oil Powder and Collagen. The Ketone Base is available in Chocolate, Peach, Chocolate and Vanilla. The Collagen Protein comes in Chocolate and Unflavored so that you can add it to anything! The MCT Oil Powder Packets come in two different versions: the original MCT Oil Powder- all of the benefits of MCT Oil in an easy to incorporate powder, and Matcha Latte MCT Oil Powder- an all in one Tea and MCT Latte. Perfect Keto's Matcha Latte MCT Oil Powder combines MCTs with antioxidant-rich matcha. Matcha is a ceremonial tea that contains 137 times more antioxidants than traditional green tea. The five pack of Single Packets is a great way to try out Matcha in your daily routine before buying a full bottle. For 20% off of all Perfect Keto Products don't forget to use the code KETOINTHECITY at check out! Perfect Keto's Fourth of July Sale is amazing. The folks at Perfect Keto are offering a Buy 3 Get the 4th Free Special! This means that you can stock up on Perfect Keto products for the rest of the summer and save big! Just fill up your cart up with 4 of your favorite Perfect Keto products and use the coupon code 4TH4FREE at checkout. This will make your 4th item completely FREE in honor of 4th of July. Perfect Keto's Fourth of July Sale is just in time for you to try Perfect Keto's new products. 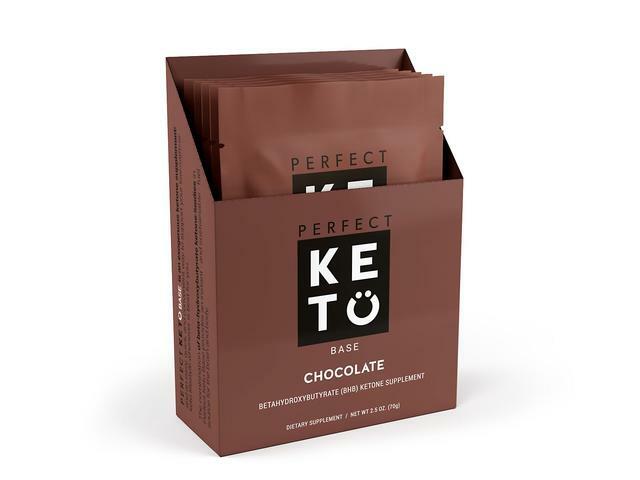 Perfect Keto just released a brand new flavor of their amazing Ketone Base and Keto Collagen. I couldn't be more excited: it's Salted Caramel. This delicious flavor reminds me of all of my favorite summer time activities: going to the fair, walking on the boardwalk. Salted Caramel is the perfect salty and sweet combination, and now it can actually help you stay in Ketosis. Perfect Keto's Fourth of July Sale ends July 4th at 11:59p. Don't wait until tomorrow! Go get the biggest discount of the year right now! Buy 3 Perfect Keto Products, Get the 4th Free with the Code 4th4FREE! Buy 3 Perfect Keto Products, Get the 4th for Free! Starting keto can be daunting. I constantly get questions about how to calculate macros, avoid the “keto flu”, and how to know if you are on the right track. The first thing to do when switching to a keto lifestyle is calculate your macros. I use this Macro Calculator by Perfect Keto. It allows you to input your goals for Keto and takes them in to account as it calculates your target fats, proteins, carbs, and calories for the day. I’ve head a lot of talk about the “keto flu” that some people experience in their first week of keto. Transitioning to the keto way of eating can be hard for everyone. The body goes through a lot transitioning from carb/sugar burning to become fat/ketone burning. However, I am certain that this “flu” has to do with a lack of electrolytes. Magnesium rich foods (dark chocolate, nuts, artichoke, spinach, fish) and/or take a supplement. So you’ve calculated your macros, stalked up on smart water and pink salt, and you are still nervous? Don’t be. You are on the right track. The next step is to grab a Perfect Keto Starter Bundle. It comes with my four favorite Perfect Keto products for great energy, recovery, and managing/maintaining Ketosis. Exogenous Ketones -This base helps raise your ketone levels at any time of day for more energy and helps you get back on track after an unsuccessful day. Keto Collagen Protein –This protein is paired with fats for slow absorption and the collegen is great for nails, skin, hair, and GI tract. MCT Oil Powder- I love how versatile this MCT is: add it to anything for a mental boost and to satiate cravings. Ketone Test Strips- These help so much in the first weeks of Keto. Starting today you can save $28 dollars off of the already reduced price of $147. You can get all four products for $119 dollars. Just pick if you want Vanilla or Chocolate. Perfect Keto products ensure that you are on the right track while starting or continuing your Keto journey. I hope they help you as much as they help me. THE ULTIMATE PERFECT KETO SALE! YOU NEED TO TAKE ADVANTAGE OF THIS HUGE PERFECT KETO SALE! Check out these incredible deals starting Friday, November 24th! Personally I love the MCT Oil Powder which I use frequently for baking, but also to add into drinks. Additionally the collagen powder is a great coffee or smoothie add in! I use these products in recipes in my new book, The Easy 5-Ingredient Ketogenic Diet Cookbook!